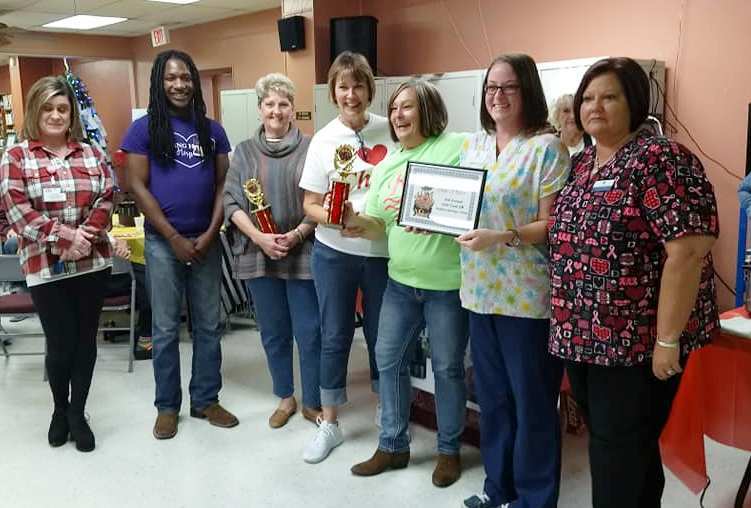 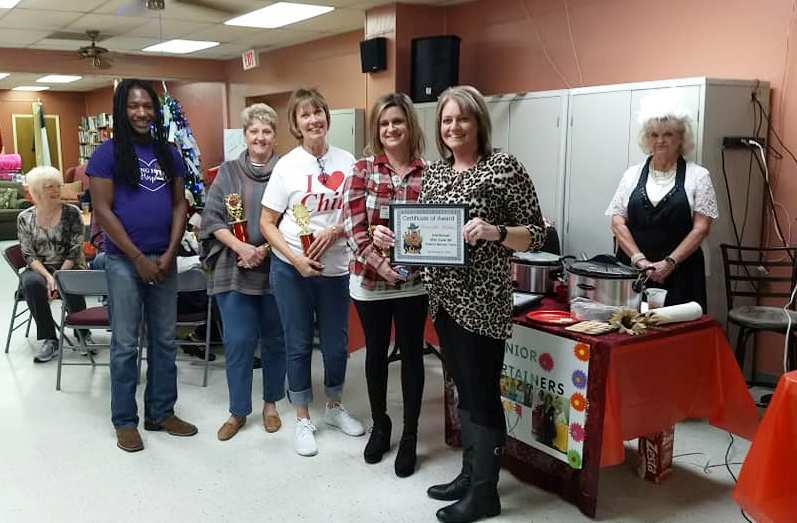 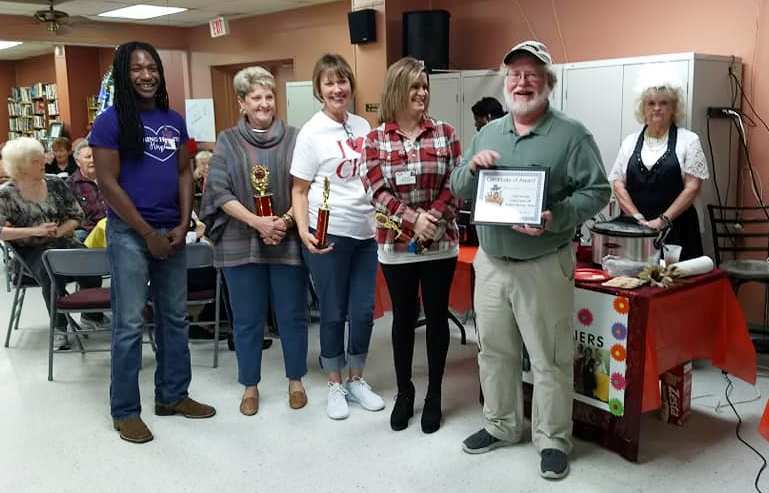 On chilly, wet Thursday November 8, 2018, seventeen local chili cooks brought their best recipe, hot and ready in crockpots, to the contest for some friendly competition on who makes the “best chili in Hopkins County”. 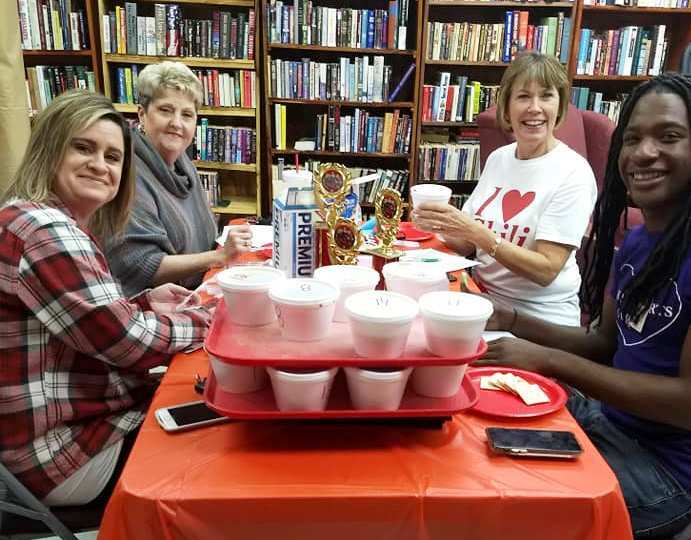 Upon arrival, chili samples were collected for judging, then the serving began at noon. 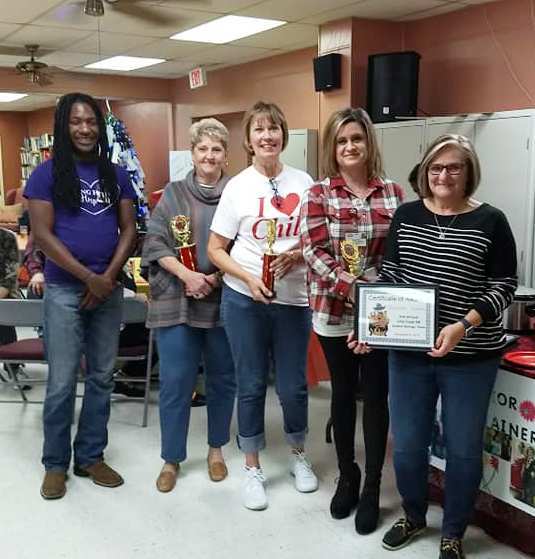 And there was no shortage of diners standing in line to get their bowls of chili! 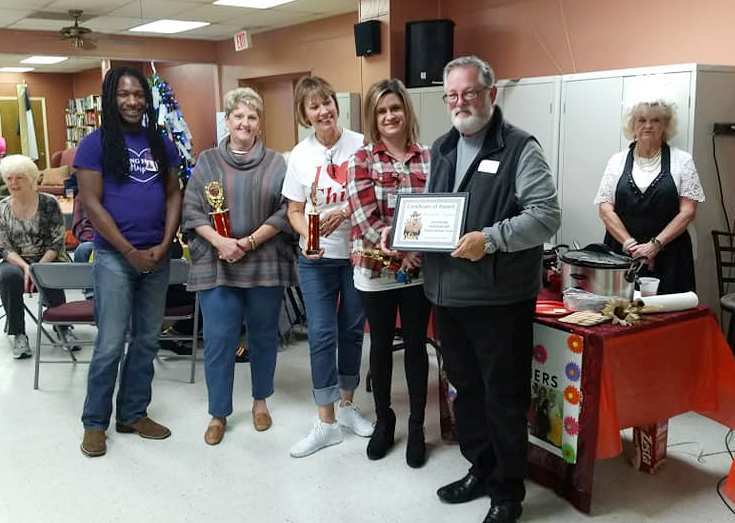 According to the judges, “There were seventeen unique interpretations of Texas chili in this contest!”. 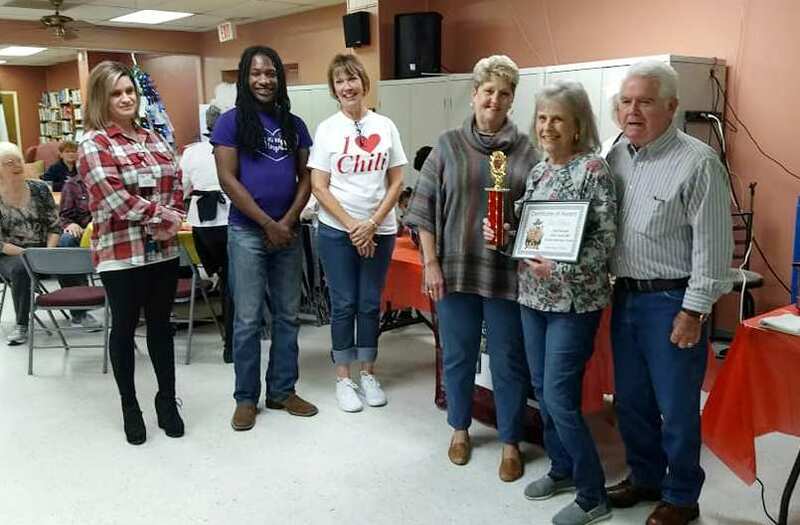 Facilitator Karon Weatherman was assisted by capable Seniors Center volunteers. 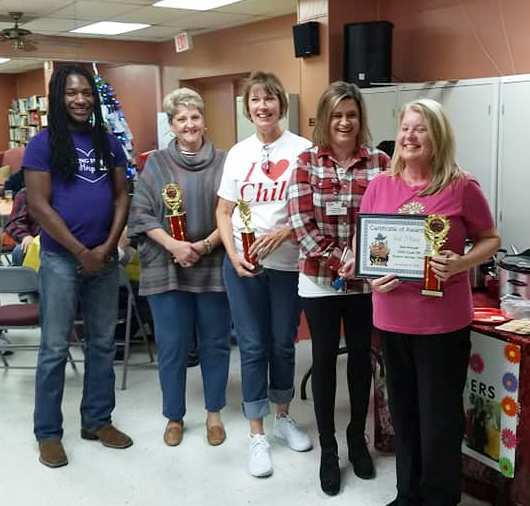 Serving as judges were Charlotte Baxter, Brandy Raley, Ty Smith and Enola Gay Mathews.